I didn’t do it through buying and selling Bitcoins. 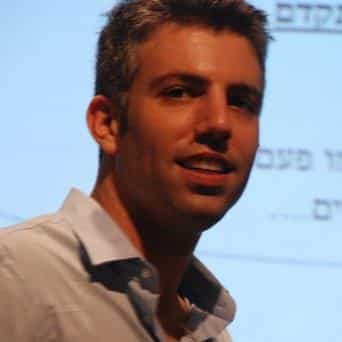 Hi, my name is Ofir Beigel and I’m the owner of this site (99Bitcoins). When I first heard about Bitcoin back in 2013 I thought there could be a huge business opportunity in it. Not in the currency itself but in the whole space surrounding it – The new businesses that are popping up, the demand for coins and so on. The good news is I was right – Bitcoin was a TREMENDOUS business opportunity, the great news is that IT STILL IS. When I started my Bitcoin business back in 2013 I had only $80 to invest in it. But since I’m a veteran Internet entrepreneur I knew exactly what I had to do and by January 2015 the site had already grossed $120K in revenue. All of this information including so much more is included in my new ebook called “My Dirty Little Bitcoin Secret”. The eBook is 223 pages long and details ALL of my unorthodox tactics and tricks that got me to where I am. You will receive detailed blueprints and step by step guides of how to copy my exact methods and create your own successful Bitcoin project. Even if you have no online marketing experience whatsoever, this eBook will teach you everything you need to do from A to Z. Is this another 'get rich quick' eBook? Will I need to invest in Bitcoin in order for this to work ? No. 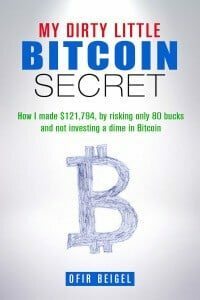 The methods described in this book allow you to profit from the existence of Bitcoin without any relation to it’s price. You will not need to invest in the currency and will not be exposed to its price fluctuations. Will these methods cost money to execute ? Depends. I cover a wide array of tactics throughout the ebook. Some are 100% free and some require small investments. It’s up to you to decide which tactics you’d like to use. Having said that I’ve created my own personal “money machine” without spending more than $80. Do I need any prior knowledge to use the information in this ebook ? You need to know your way around the Internet (which I assume you already know if you got this far). Other than basic Internet surfing skills nothing else is needed, everything is explained in an easy to understand language and in plain English. What if this book is complete BS ? 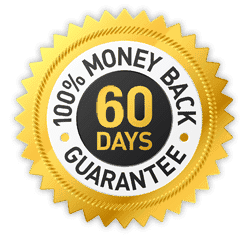 In that case you have a “60 day money back iron clad guarantee” – no questions asked. Just email me saying you want a refund and I’ll get on it right away, you’ll also be able to keep your copy. If these methods are so awesome why aren't you just keeping them to yourself ? Good question. First of all, I think the Bitcoin space is so huge that there is enough room for many competitors. Second, selling this book gives me another revenue stream that helps me maintain the site. Have more questions ? Contact me and I’ll do my best to answer within 24 hours.